Ticketoffice at Nybrokajen 11. Telefon 08-407 17 00. Box office/Norrmalmstorg, Sverigehuset. ATG-ombud/BiljettDirekt 077-170 70 70. Arrangers: Stallet, Paideia, StudioTeater Lederman and Svenska Klezmerföreningen. Sponsors: Stockholms Kulturförvaltning, European Association for Jewish Culture, BreakfestClub, Statens Kulturråd. Friday February 3, 8:15 p.m., Friday night service and concert performance at Temple Sinai, 3100 Military Road, NW, Washington, DC 20015 for more information please call 202-363-6394. The acclaimed Strauss/Warschauer Duo will headline a Klezmer Concert, which will also feature Cantors Fredda and Jack Mendelson, the adult choir, the childrenâ€™s choirs, and a band of children singing and playing musical instruments. General admission is $18 per person or $36 per family at the door. For more information call 914-834-6120 ext. 11.
production company for a documentary film. Saturday, February 4, presented by Common Ground on the Hill at the Carroll Arts Center, 91 West Main Street, Westminster, Maryland, for more info: 410-857-2771. Live-Konzert im Restaurant "Da Giulia"
Yiddish concert with noted San Francisco Yiddish singer, Jillian Tallmer, who, along with her accompanist, will blend a concert with a Yiddish sing-along. Families especially welcome. If you can sing "Bim, Bam," you can sing Yiddish! $5 Seniors 65+, Children 12 and under: Free! Registration deadline is January 28, 2006. Stuyvesant-Cooper Post 235 of the Jewish War Veterans of the USA presents its third-annual free and open-to-the-public klezmer concert ("Jerrypalooza"). Featuring the Strauss/Warschauer Duo, Generation K, the Columbia University Klezmer Band, and the Workmen's Circle Klezmer Workshop. Sunday, February 5 at 3 PM (doors open at 2:30 PM). The concert will take place at the Town and Village Synagogue, 334 East 14th Street (near 1st Avenue), New York City. For information, contact 212 477-3131. The Strauss/Warschauer Duo continues the Monday evening Columbia Series with a special hands-on workshop for klezmer instrumentalists and Yiddish singers. Bring your instruments and voices. Listeners are also welcome. Cantorial Modal Analysis and Improvisation for Klezmer Musicians and Yiddish Singers—A Hands-on Workshop Acclaimed Jewish music scholar Professor Mark Kligman (Hebrew Union College) will join the Strauss/Warschauer Duo in a hands-on workshop for instrumentalists and singers that will explore the relationship between Khazones (Eastern European Jewish cantorial music) and klezmer music. Participants will work vocally and/or at their instruments on cantorial modal improvisation both in its historical context and as a vehicle for their own improvisations. Listeners are welcome. All events will be held at Deutsches Haus, 420 West 116th Street (between Amsterdam Avenue and Morningside Drive) in New York City at 8 PM, and are free and open to public. No tickets necessary. For more information please call (718) 399-1147 or email Agnieszka Legutko. The next events in the series are on Mar 6, 2006, and Apr 3, 2006. Deborah Strauss (violin, accordion, vocals) and Jeff Warschauer (guitar, mandolin, vocals) are two of the most astonishing and popular performers and teachers in the international klezmer and Yiddish music scene. They were both long-time members of the Klezmer Conservatory Band, and have performed with violinist Itzhak Perlman on film and in concert. As the Strauss/Warschauer Duo, they have performed to overwhelming acclaim in such diverse venues as the Philadelphia Folk Festival, the Jewish Culture Festival in Cracow, the Folksbiene Yiddish Theater in New York City, and the Art of Yiddish in Los Angeles with Theodore Bikel. 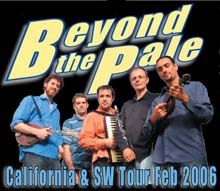 They lead workshops and classes throughout North America and Europe, are on the faculty of KlezKamp, KlezKanada and KlezFest at the University of London, and are curators of the Columbia University Series on Klezmer Music and Yiddish Song. Mark Kligman, Ph.D., is Associate Professor of Jewish Musicology at Hebrew Union College-Jewish Institute of Religion in New York where he teaches in the School of Sacred Music. He was educated at the University of Michigan and New York University; he earned his doctorate at NYU in 1997. He specializes in the liturgical traditions of Middle Eastern Jewish communities. Dr. Kligman is a frequently requested speaker and teacher at universities and congregations throughout the United States. His research extends to historical trends in the liturgical music of Ashkenazic and Sephardic traditions. 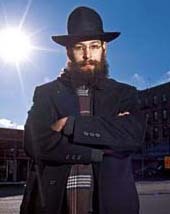 His work has been published in The Encyclopedia of Judaism (2000), Worship Music:A Concise Dictionary (2000), the American Jewish Yearbook 2001, Jews of Brooklyn (Brandeis University and University Press of New England, 2001), and The Jews of the Middle East and North Africa in Modern Times, which also includes a CD he compiled for the publication (Columbia University Press, 2003). In the spring of 2001, Dr. Kligman was Research Fellow & Visiting Professor at the Center for Judaic Studies, University of Pennsylvania. He lives with his family in Highland Park, NJ. A Man From Munkacs: Gypsy Klezmer explores the symbiotic relationship between the Rom and Jews who lived together before and after World War Two in the Carpathian region. Before the Holocaust there, whenever there was a Jewish celebration (e.g., a wedding, Purim festivities, dance etc. ), most of the time the klezmer musicians were not Jews but Rom. In fact, the Rom had played with and for Jews for so many years that some of them spoke a fluent Yiddish. The film examines how this persecuted group (the Rom) saved Jewish folk music until it could be returned to the Jews. We learn about Gyula Galombosi, a Rom virtuoso violinist who traveled throughout the Soviet Union playing classical, Rom, Russian and klezmer music until his death in1986. His hometown was Munkacs and in this hometown lived the Jakubowicz family. Ferenc (Feri) Jakubowicz was the first Jewish child born after the Holocaust in Munkacs, which was cause for great celebration - Jewish life was being renewed. During Feriâ€™s birth, Galombosi and his fellow musicians played klezmer music on the street below the apartment. Feri was told this story by his father years later, which caused him to be more curious about klezmer. Feri and Gyula became good friends. Feri, a pianist, learned many great klezmer tunes from Gyula. When Feri and his family immigrated to Budapest in 1979, Feri played music with a local opera company. In the film, Feri shares his initial ambivalence about publicly announcing his Jewishness and his love of klezmer to the gentile world. But in 1990, he formed the first klezmer band in Hungary since the 1920â€™s, â€œThe Budapest Klezmer Bandâ€ and taught the tunes he had learned from Galombosi to the rest of his band, who were not Jewish. On camera, Feri gradually remembers a Munkatsher tune his uncle use to sing to him when he was a young boy. This tune, â€œThe Munkatsher Nignâ€ provides a musical motif throughout the film, as it is interpreted by various Rom and Jewish musicians. Through Feri and Galombosiâ€™s stories, we will trace the rebirth of Jewish music in Hungary today. The film is 58 min. long and was produced by Duna TV (Hungary) and Starcrest Films (Frankfurt, Germany). Wednesday, February 8, 2006, 6:30 –8:30 p.m. Exploring the multi-cultural tapestry of the Maghreb through music, Samuel Thomas will present a glimpse into the diverse world of Maghrebi music through presentation and performance. Looking at questions of ethnic identification and transnationalism amongst Moroccan Jewish and Muslim communities, he will place the music in context of past, present, and future. The performance will include soprano sax, oud, vocals, and percussion. He will be joined by fellow musicians Yoel Ben-Simhon and Dudu Bohbot. Samuel Thomas, an artist and educator, is a saxophonist, percussionist and composer. 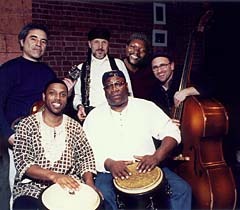 Receiving two degrees from Berklee College of Music, Thomas is currently a Ph.D. candidate in Ethnomusicology at CUNY. His work includes North African musical traditions, Arab music, and Jewish music research. As bandleader of Asefa, an ensemble founded in 2001, Thomas traverses a wide musical landscape with arrangements and original compositions imbued with contemporary concepts in improvisation and instrumentation. 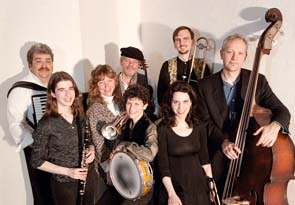 A concert of Klezmer Music featuring the Iowa Klezmer Band--Oleg Timofeyev (guitar) and Natalia Timoveyeva (cello)--and New York musicians, Yale Strom (violin) and Norbert Stachel (clarinet). "Tribute to Robert Paredes" is dedicated to the extraordinary composer and classical, jazz, and klezmer clarinetist, Robert Paredes (1948-2005), who spent more than 20 years of his life in Iowa City. The concert will feature the vitality and variety of the Klezmer tradition in the context of contemporary Jewish and American music. Director Yale Strom will introduce his film, “A Man from Munkacs: Gypsy Klezmer,” at Montclair State University’s McEachern Recital Hall Thursday, Feb. 9, at 7 p.m. Strom will also give a demonstration with live musical examples. Sponsored by MSU’s Global Education Center as part of its Forum on International Issues, the event is free and open to the public. Strom’s film explores the symbiotic relationship between the Rom and Jews who lived together in the Carpathian region before and after World War Two. Prior to the Holocaust, the Klezmer musicians at Jewish celebration were frequently not Jews but Rom, some of whom spoke Yiddish fluently. The film examines how this persecuted group, the Rom, saved Jewish folk music until it could be returned to the Jews, allowing the rebirth of Jewish music in Hungary. The film, which is 58 minutes long, was produced by Duna TV of Hungary and Starcrest Films of Germany. Montclair State is New Jersey’s second largest and fastest growing university. It offers the advantages of a large university ­ a comprehensive undergraduate curriculum with a global focus, a broad variety of superior graduate programs through the doctoral level, and a diverse faculty and student body ­ combined with a small college’s attention to students. More information on the University is available on its website: www.montclair.edu. Nina Spiegel is Curator at the National Museum of American Jewish History in Philadelphia. She holds a Ph.D. from Stanford University in modern Jewish history and dance history and a B.A. in Judaic Studies and Religious Studies from Brown University. Her research explores the connections between dance and modern Jewish life in Israel and in the United States and examines such themes as the interpretation of folk and concert dance, comparisons between Israeli and American Jewish cultures, understandings of Jewish authenticity, and the invention of tradition. Her publications include the prize-winning article, "Cultural Formulation in Eretz Israel : The National Dance Competition of 1937" (Jewish Folklore and Ethnology Review) and her dissertation, "Jewish Cultural Celebrations and Competitions in Mandatory Palestine, 1920-1947: Body, Beauty, and the Search for Authenticity." Judah M. Cohen is a Dorot Assistant Professor/Faculty Fellow at New York University. Recent publications of his include "Modes of Tradition? : Negotiating 'Jewishness' and Modernity in the Synagogue Music of Isadore Freed and Fredrick Piket" (Jewish History and Culture), and he has forthcoming essays on music in Jewish summer camps and "The Postmodern Landscape of 'Jewish' Music." 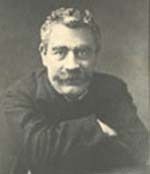 In addition, he has conducted extensive research on Jewish life and history in the Caribbean, which was the subject of his first book, Through the Sands of Time: A History of the Jewish Community of St. Thomas, U. S. Virgin Islands (Brandeis University Press, 2004) as well as other forthcoming work on Jews in the Caribbean and Latin America. This fall, he will move to Indiana University to assume the Lou and Sybil Mervis Chair of Jewish Culture. Ticketoffice at Stallet open one hour before the concert, Stallgatan 7. Friday, February 10, at 10:00 p.m. The evening will start at 8:00 p.m with the Pan Asian Chamber Jazz Ensemble, blending Far-East tonalities with avant-garde jazz and African rhythms. Joining the group will be percussionist Satoshi Takeishi and Erhu player Suzanne Shu from Mainland China. This event brings together two internationally renowned musicians who are deeply committed to klezmer music and Yiddish song. 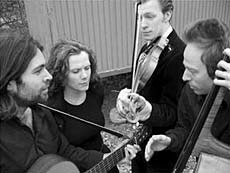 Their performances are an integrated and intimate blend of songs, translations and instrumental music. After a concert set, Deborah Strauss will teach and lead traditional Yiddish dances with live musical accompaniment. No previous experience needed! WC Members: $12 in advance, $15 at the door. Non-members: $15 in advance, $18 at the door. Advance payment can be mailed to the Workmen's Circle office and must be received by the Thursday prior to the concert. We had to change the jam to Sunday Feb 12 since we figured many people would want to watch the Super Bowl, even though the Patriots are not playing. You may remember that last year, the Invisible I-95 Foxboro Shetl Marching Band provided a stirring rendition of the Bobover Wedding March during the half-time show. Numerous sportscasters noted the inspirational impact this had on the Patriots. This year's Super Bowl mysteriously does not include the Patriots (instead it is the Shtolers vs. the Yamfalks), but it does feature the Rolling Stones, and it is rumored that the Detroit Auto-Klez Ensemble will open for the Stones. At any rate, come play music 7-9 pm on Sunday Feb. 12, 2006 at the Workmen's Circle, at 1762 Beacon Street in Brookline, about 5 blocks west of Washington Square, which is about 12 blocks west of Coolidge Corner, right on the Green Line Beacon Street route. We play from printed music, which we will have available in C and B-flat. All levels of players are welcome. There is a piano, though keyboard players are welcome to bring a portable keyboard in case more than one pianist shows up. There's a beautiful music space in downtown St. Cloud not everyone knows about. It's called Pioneer Place on Fifth. It's a theater, it has a wine bar, and best yet, it has a great sound system--making it the perfect place for Klezmerica to make our first live concert recording! So if you live near St. Cloud, or if you'd like to make the trip to add your presence to this special event for this very special event, you're invited. makes their debut at Toronto's legendary rock club—the Horseshoe Tavern (College St., East of Spadina)—on Monday, February 13, 2006. They'll probably start to play at about 10:30 PM, and are on a bill with two other exciting Toronto Indie bands. This is a FREE show, as part of the Horseshoe's "Shoeless Mondays". KlezFactor will be playing songs from their album "The Golem of Bathurst Manor", which is NOW AVAILABLE on the Standback Records website: www.standbackrecords.com/buy. KF's full compliment will be onhand to rock out the Horseshoe. Celebrate Tu Bishvat with a night of inspiring music, great people, and simcha while supporting the inspiring work of the Teva Learning Center, which affects the lives of over 1000 students and adults each year, teaching Jewish and environmental values in the woods, at retreat centers, and even in the city. Tickets can be bought online, at the door, or by calling the office at 212-807-6376. President's Day weekend. Event features concerts, dance parties, lectures and classes with the renowned Klezmer performing artists: Adrianne Greenbaum—flute; Margot Leverett—clarinet; and Steve Weintraub—Yiddish dance. DISCOUNT PRICE FOR ALL EVENTS: $60 for 2 parties, lunch/presentation, & 4 classes if paid BEFORE Friday evening Feb.18th. Individual classes and events can also be paid for at time of class/event. Discounts for students, seniors, and fixed/low income—inquire with event coordinator. Een nieuw geluid van Di Fidl-Kapelye! Project "Trumpets for Di Fidl-Kapelye"
Bekend om haar authentieke klezmer-sound is Di Fidl-Kapelye nu op weg naar nieuwe horizonten: blazende klezmer-experts componeren speciaal voor de snaren-kapelye nieuwe stukken. 5 beroemde klezmer-blazers hebben de afgelopen maanden gewerkt aan nieuw repertoire speciaal voor Di Fidl-Kapelye geschreven. Het project begon met drie trompettisten: Frank London (van o.a. de Klezmatics), Gijs Levelt (o.a. Amsterdam Klezmer Band) en Susan Watts (o.a. de Klezmer Brass Allstars). Inmiddels is het uitgegroeid tot een blazers-voor-strijkers-project, waarin ook klarinettist Yankl Falk (di Naye Kapelye) en saxofonist Job Chajes (Amsterdam Klezmer Band) componeren. 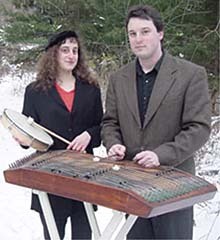 Warm up a winter afternoon with a concert of Yiddish folk songs with vocalist Rebecca Kaplan and tsimblist Pete Rushefsky in a free concert at the Newton Library. Acclaimed Yiddish music artists Kaplan and Rushefsky bring to life rarely heard gems of traditional Yiddish music, as well as original works. Please come early to ensure admission. WHERE: JCC in Manhattan 334 Amsterdam Ave at 76th St.
Based on texts by the Yiddish writer Sholom Aleichem. This one man show features three colorful characters issued from the picture book of Jewish lore in the shtetl: a mother, a petty insurance swindler, and a story-telling philosopher. 'Masada Rock,' their second full-length release on John Zorn's Tzadik Records. Corner of Ave. C & 2nd St.
featuring our friend David Krakauer, sitting in with the band! Buy tickets online or by phone at 212-539-8778 - avoid the telecharge fee! A celebration of the 90th yartzeit of our beloved poet. This new musical is inspired by Peretz's epic poem about an insane bodkhen dancing on the bridge between the world's of the living and the dead. All concerts are free and open to the public. Children are welcome to all concerts. Info: Jeff Warschauer at (718) 399-1147 or send email.